Maverick Volleyball has been serving youth and adults in the National Capital Region since 1985 and offers high quality and innovative community programs for all skill levels. Maverick Volleyball is currently seeking outgoing, creative, flexible, motivated, and team-oriented individuals who have a passion for working with youth and who enjoy variety and working in a dynamic, exciting, and growing business environment. These positions are a part-time contract and varies based on programs. We have openings for both, an East End and West End Head Cliniican for the Beach as well as Eight Head Clinician for Indoor Summer Camp Clinicians. 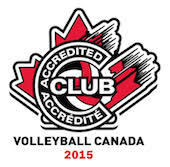 § Experience in delivering youth volleyball programs and coaching volleyball. § Organizational ability, interpersonal skills and versatility are requirements of the position. § Experience with youth education, mentorship, and not for profit organisations is an asset. Coaching skills: Ability to instruct and correct errors, encourage performance, and communicate effectively with both athletes and other coaching team members. This is a part time contract position with a salary range of $20-$30. The rate will be determined base on the experience of the selected candidate. **Senior Assistants will be expected to take a leadership role including assisting the Head Clinician with management of Junior Assistants and taking an active role with on-court instruction with participants. · Senior Assistant - $15 to $25/hour. The hourly rate will be determined base on the experience of the selected candidate. Please indicate position(s) and locations applied for.